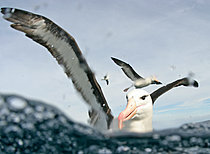 p840m2075882 - RS - Atlantic yellow-nosed albatross (Thalassarche chlororhynchos). 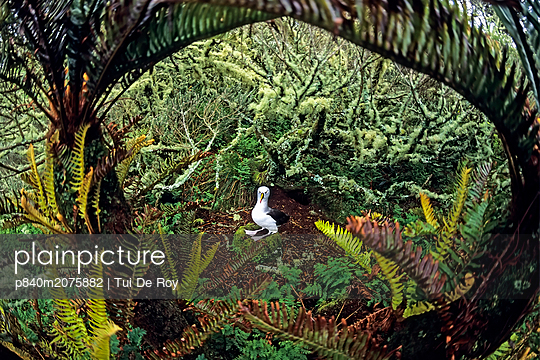 nesting amid Blechnum palmiforme tree ferns. 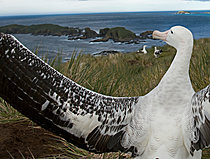 Gough Island, Gough and Inaccessible Islands UNESCO World Heritage Site, South Atlantic.